Friends of the Chicago River has embarked on a multi-year effort to address gullies caused by poorly managed stormwater in the forest preserves of Cook County which are damaging to the health of the river. Level 3 Gullies: which requires more dramatic interventions and partnership with the landowner, in this case the Forest Preserves of Cook County (FPCC). The Gullywalking Project produced the Gullywalking Report. Since then, we've been working closely with our partners to prioritize and repair these gullies. The data collected by our Gullywalkers has helped determine restoration projects and address the destructive properties of gullies, helping us preserve and improve the Chicago River. Here’s the scoop on gullies: Poorly managed rainwater causes a huge problem for the Chicago River. Among other issues, when rain falls on impervious surfaces like streets and parking lots, it is directed to pipes that empty directly into the Cook County Forest Preserves. The rain washes away the soil and creates gullies. This unmanaged dumping destroys our natural landscape and damages the river. Beginning in 2013 we began repairing some of the gullies with the help of skilled volunteers and contractors depending on the gully. That work led to the development of Friends' Gully Guidance Manual, which is designed to combine what we have learned about gullies and fixing them with general guidance on how to address them locally so that other stakeholders can help fix gullies too. 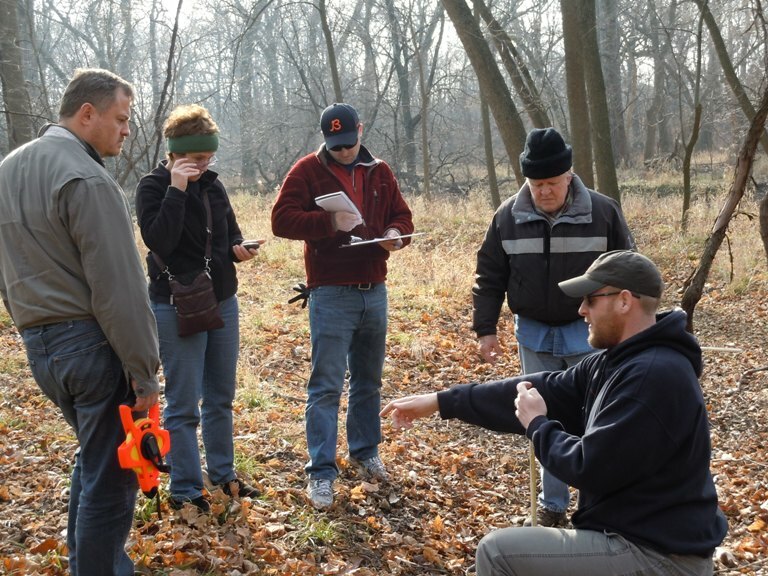 In addition to the manual, Friends' has two digital reports from consultants who worked with us at Kickapoo Woods, a Centennial Volunteers site. Their reports detail gully fixing approaches that complement our approach. If you would like to volunteer to fix gullies, please visit our volunteer pages. For information on assisting Friends with other restoration projects or to find projects at specific sites/dates, please contact Annette Anderson, (312) 939-0490, ext. 14.